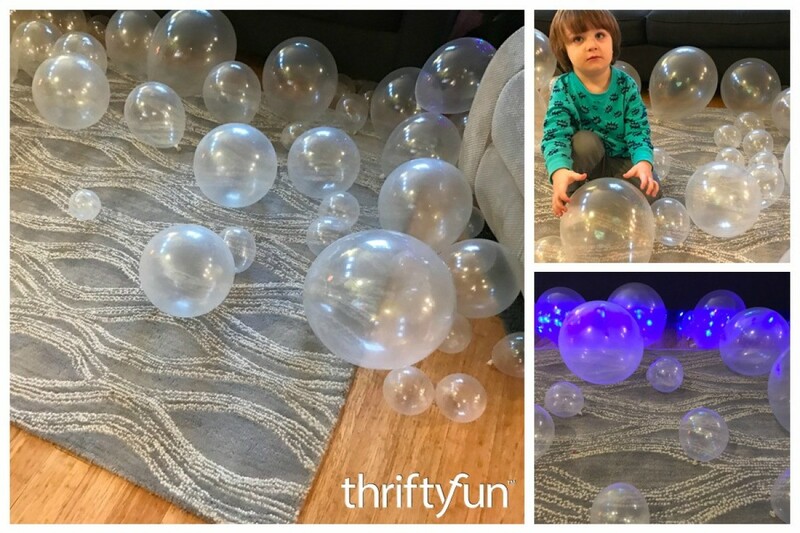 Balloon bubbles are a fun decoration and activity for a child's water themed party. 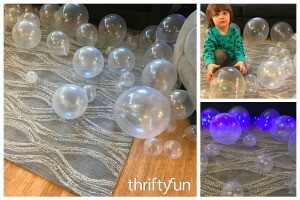 This is a guide about balloon bubbles as party decorations. 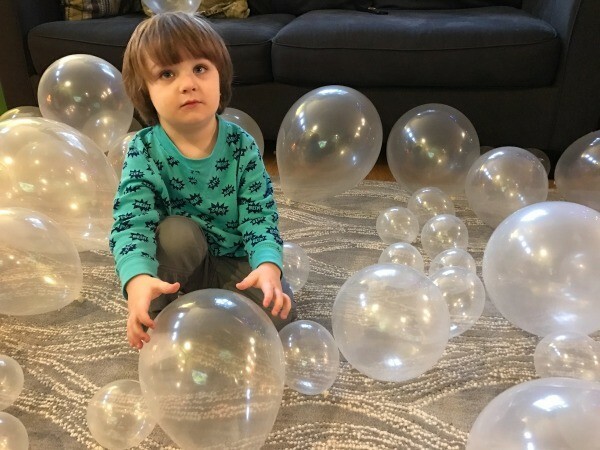 My son recently had a 'shark' goldfish themed third birthday party. 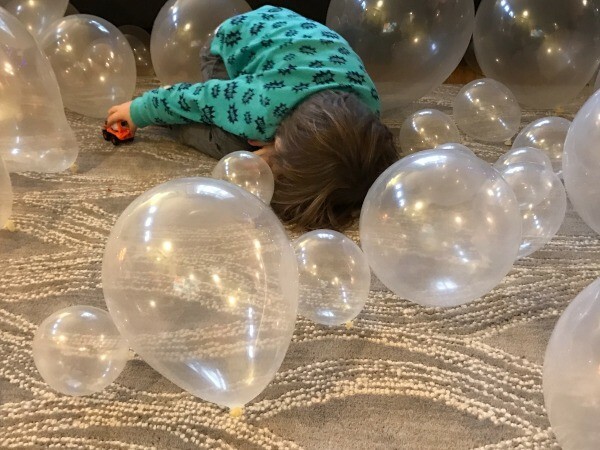 One of the decorations we did was balloon bubbles. 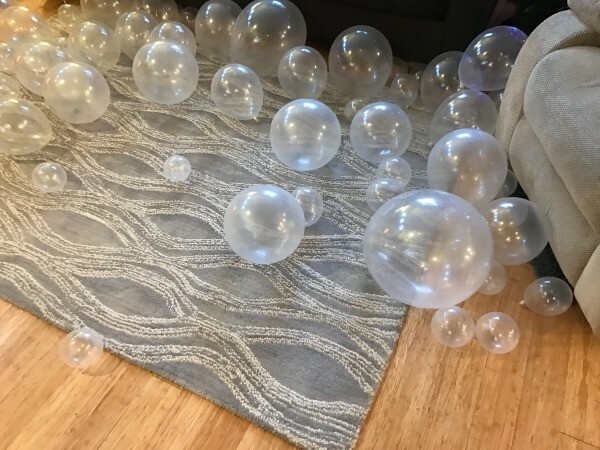 We used clear balloons in numerous sizes (5, 9, and 12 inch), blew them up, and scattered them all over the room. Not only were they great decorations, they were also a lot of fun to kick and throw around for the kids. 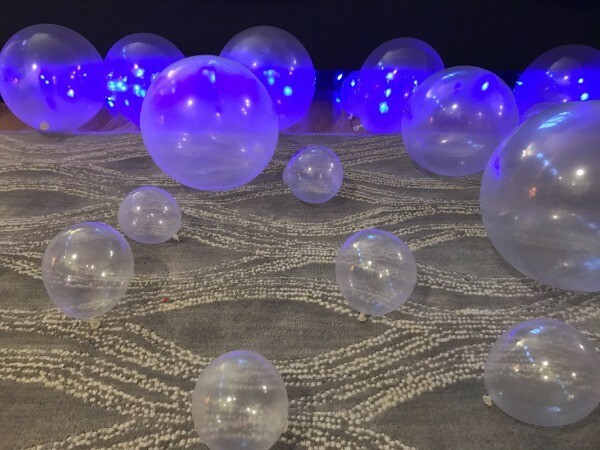 An added touch that my teenage son did, was to add a string of blue Christmas lights under our couch. His little brother loved it!